Marivic Wyndham, Senior Lecturer, International Studies Program, University of Technology Sydney. Description - On 11 September 1973, the Chilean Chief of the Armed Forces Augusto Pinochet overthrew the Popular Unity government of Salvador Allende and installed a military dictatorship. Yet this is a book not of parties or ideologies but public history. It focuses on the memorials and memorialisers at seven sites of torture, extermination, and disappearance in Santiago, engaging with worldwide debates about why and how deeds of violence inflicted by the state on its own citizens should be remembered, and by whom. The sites investigated — including the infamous National Stadium — are among the most iconic of more than 1,000 such sites throughout the country. The study grants a glimpse of the depth of feeling that survivors and the families of the detained-disappeared and the politically executed bring to each of the sites. The book traces their struggle to memorialise each one, and so unfolds their idealism and hope, courage and frustration, their hatred, excitement, resentment, sadness, fear, division and disillusionment. Description - A groundbreaking approach to understanding and parenting children who frequently exhibit severe fits of temper and other intractable behaviors, from a distinguished clinician and pioneer in this field. Lost and Found is a follow-up to Dr. Ross Greene's landmark works, The Explosive Child and Lost at School, providing educators with highly practical, explicit guidance on implementing his Collaborative & Proactive Solutions (CPS) Problem Solving model with behaviorally-challenging students. While the first two books described Dr. Greene's positive, constructive approach and described implementation on a macro level, this useful guide provides the details of hands-on CPS implementation by those who interact with these children every day. Readers will learn how to incorporate students' input in understanding the factors making it difficult for them to meet expectations and in generating mutually satisfactory solutions. Specific strategies, sample dialogues, and time-tested advice help educators implement these techniques immediately. Description - Neoclassical economics, the intellectual bedrock of modern capitalism, faces growing criticisms, as many of its key assumptions and policy prescriptions are systematically challenged. Yet, there remains one field of economics where these limitations continue virtually unchallenged: the study of cities and regions in built-environment economics. In this book, Franklin Obeng-Odoom draws on institutional, Georgist, and Marxist economics to clearly but comprehensively show what the key issues are today in thinking about urban economics. 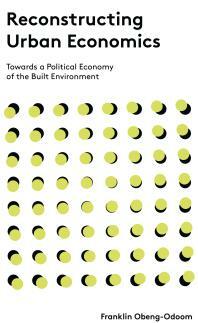 In doing so, he demonstrates the widespread tensions and contradictions in the status quo, demonstrating how to reconstruct urban economics in order to create a more just society and environment. Description - The study of television and music has expanded greatly in recent years, yet to date no book has focused on the genre of comedy television as it relates to music. Music in Comedy Television: Notes on Laughs fills that gap, breaking new critical ground. With contributions from an array of established and emerging scholars representing a range of disciplines, the twelve essays included cover a wide variety of topics and television shows, spanning nearly fifty years across network, cable, and online structures and capturing the latest research in this growing area of study. From Sesame Street to Saturday Night Live, from Monty Python to Flight of the Conchords, this book offers the perfect introduction for students and scholars in music and media studies seeking to understand the role of music in comedy onscreen and how it relates to the wider culture. Description - The hours were demanding but the pay was good. And the boozy lunches were even better. Australia's advertising agencies enjoyed their reputation as a glamorous and fun place to work. Not surprisingly, many of the nation's brightest and most creative young people were drawn to advertising. Behind Glass Doors ventures into their offices to reveal the inner workings of the Australian advertising agency business during its best decades: the 1960s, 1970s, and 1980s. Drawing on interviews with over a hundred former admen and women across all agency departments, this study offers unprecedented access to the changing world of the advertising agency. It documents the different tasks performed by agency staff - from managing increasingly powerful clients to creating memorable campaigns - as well as the ways that these practices brought Australian agencies into closer contact with international trends and developments. By telling the story of Australian advertising's 'golden age' through the experiences of those men and women who were responsible for it, Behind Glass Doors reveals that a career in advertising was no ordinary office job.